You hear the word “sustainability” bandied about a lot in the travel trends articles these days, but what does that mean when it comes to a lodge or hotel? At Napo Wildlife Center in the jungles of Ecuador, sustainability goes beyond avoiding plastic and cutting down on waste. This jungle lodge is sustainable because the people running it are the people who have long lived there. The people of the Kichwa Añangu community are not brought in as a cultural sideshow or just as after-dinner entertainers. They actually run the place and share in the profits. This special lodge, located within the biodiverse Yasuni National Park, gets you as close as you can possibly get to the area with the most wildlife and still have a bed to sleep in at night. With the Kichwa Añangu community directing the project, they can hold onto their traditions and ancestral culture and actually share that with visitors through their cultural center here. With community leadership at its core, Napo can truly served the people who have lived here all along as they share their unique habitat with people from other parts of the world. The Napo Wildlife Center system is not just giving some people a job. It is supporting a whole community. 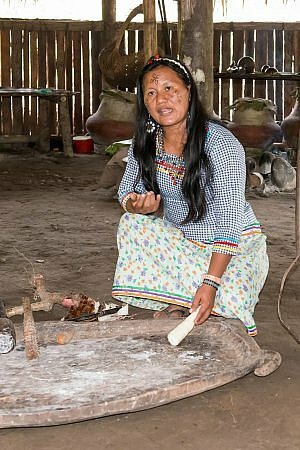 Their purpose is to combine protection of biodiversity and local socio-economic development, using ancestral methods of collaboration at the community level. They strive to do this through ethical, professional and responsible principles. 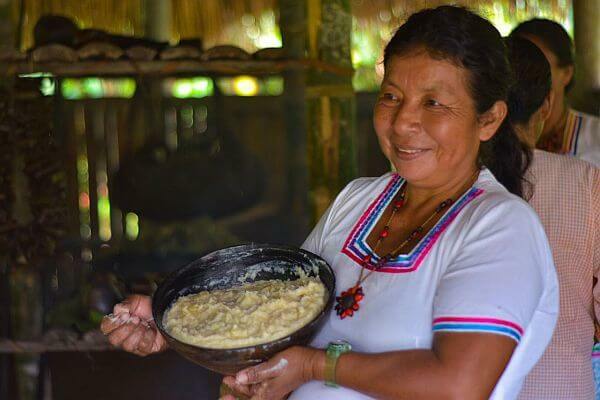 This community-run jungle lodge allows the leaders to generate employment without harming Pachamama. It facilitates the development of social infrastructure and access to education and health, among others. It a region that it also rich in oil, this clean tourism project that serves the local people is a model for a better way. These awards came from the community involvement, but also because Napo ticks off all the other sustainability boxes too. They have solar panels installed for energy, there’s a huge composting system in place, and everything that can be recycled or reused is. If you read Spanish, you can see more on those projects here. Read the full Napo Wildlife Center Lodge review on Luxury Latin America to learn more about the excellent tours run by people who have lived their whole life in the jungle and what the comfy sleeping arrangements are like. You’re sure to see plenty of jungle animals and wildlife while you’re there. Then book your trip to Napo so you can put your dollars into a project that does more than any short-term charity fix can accomplish. Come share a special experience with the Kichwa Anangu community and see the beating heart of Mother Earth around them.